If the pressure on the liquid differs from one atmosphere, the boiling point observed for the compound differs from that estimated for the pure compound. 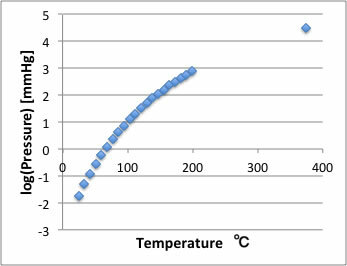 Thermally unstable compounds can not measure its boiling point. At that time, I need to apply reduced pressure distillation. Have you ever seen chart above? If you set ruler one certain pressure and normal boiling point then you can get boiling point at certain pressure. Or you set ruler one certain pressure and boiling point at that pressure, you can get normal boiling point. 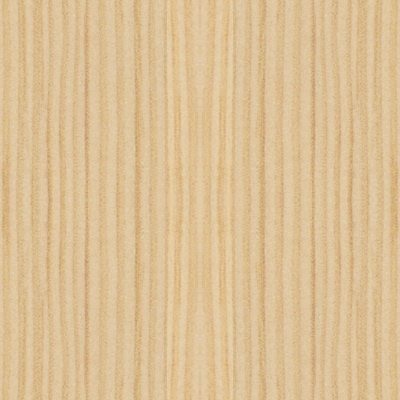 This JAVA applet calculate these converted value. I checked the performance of this JAVA program. 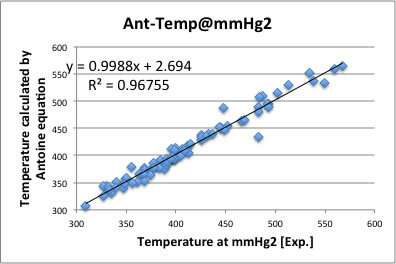 I calculated Temperature at certain pressure (mmHg2). The average error was 10.6K. The prediction of Antoine A parameter from molecular structure is not so good, but if we have at least one boiling point experimental data, we can determine Antoine A parameter from calculated Antoine B and C parameters. Then we can calculate every temperature-pressure relations. The average error was 7.2K, so Antoine method is much better than Java-chart method. 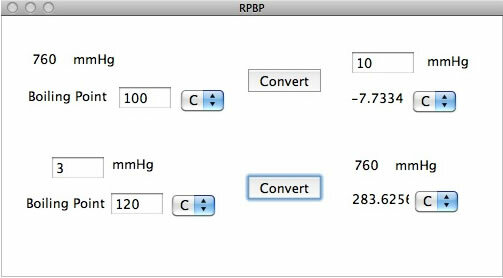 If you have at least one experimental data, we recommend to use Antoine equation to get Reduced Pressure boiling point. 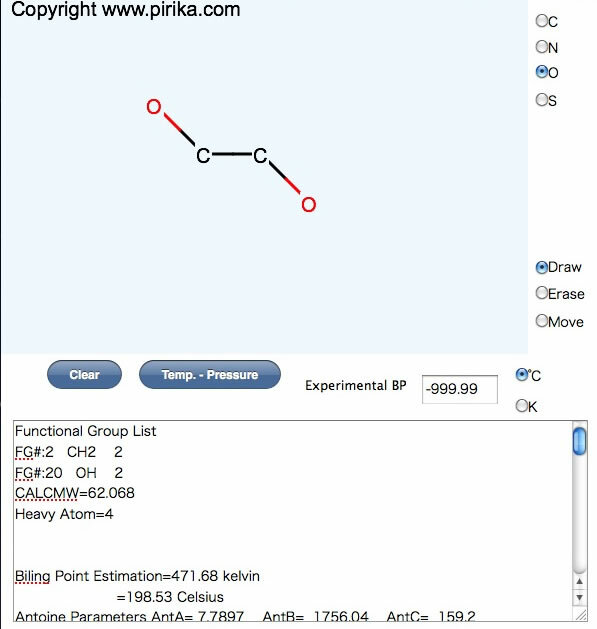 I made HTML5 program for Boiling point estimation. If you are accessing this page with iPad (or HTML5 browser such as Chrome, Safari, FireFox4), please follow this link. 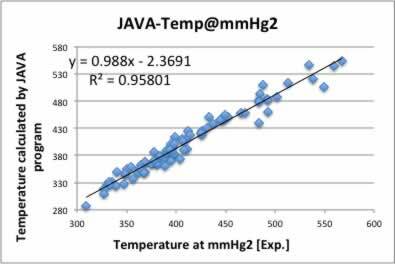 You can easily get Vapor Pressure temperature relationship with this program.